Friday I showed you the new table I added to the family room. Today I’m going to expand on this and show you my vision for this room! I took my poor-man’s photoshop, the GIMP, and created a few little edited pics to show you what I’m thinking for this room. a) The LACK bookcase by IKEA. I think this big chunky shelf will be perfect next to my TV unit. b) The Expedit Bookcase from IKEA. 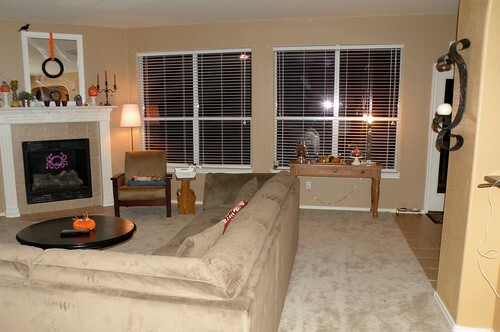 I want a table behind the couch, but it needs to be narrow AND long. Not an easy task! 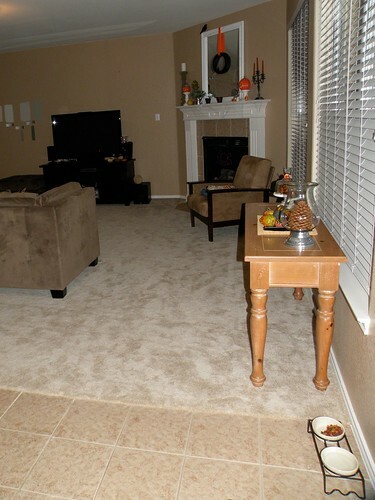 A few weeks ago House*Tweaking posted a picture of her family room, and low and behold she has the perfect table behind her couch. 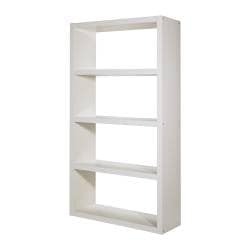 I browsed IKEA and found the Expedit Bookcase, looked up the measurements, and lucky me!.. when you put two side-by-side they are a perfect fit for my couch! 1) the armchair area next to the fireplace. I bought this chair at a garage sale. I like the chair but I don’t love the location. It doesn’t work well in here but it’s better than nothing! But I think the arm is too big for the space and will hit the wall or the fireplace. I’ll find the perfect lamp soon enough. Here is the room exactly as it is today. 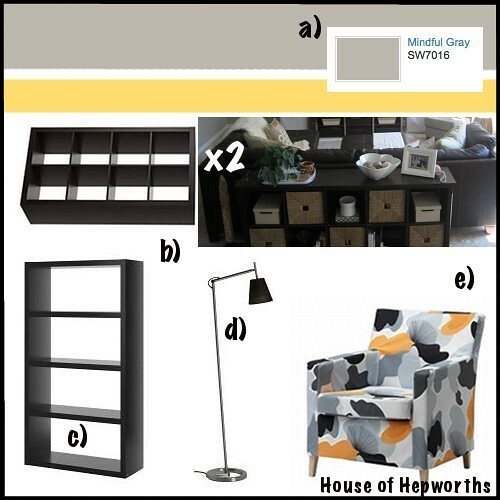 I liked the items I selected, but once they were on the board I decided I didn’t LOVE the items on the mood board. So I swapped out the chair (KARLSTAD chair from IKEA) for a different chair. I also changed the color of the furniture to birch and white, and then chose a different wall color. Can you believe it’s the same room?! I painted the walls Bonsai by Valspar, added white curtains, moulding around the fireplace and along the walls, two shelves behind the couch, a tall bookshelf next to the tv, and finally two new IKEA chairs. 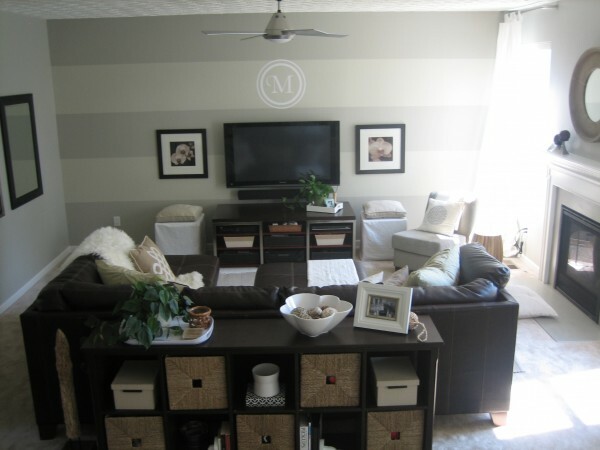 And once more, here’s the mood board and the family room next to each other. Hopefully this will help give a better visual. There’s my current plan in a nut-shell! 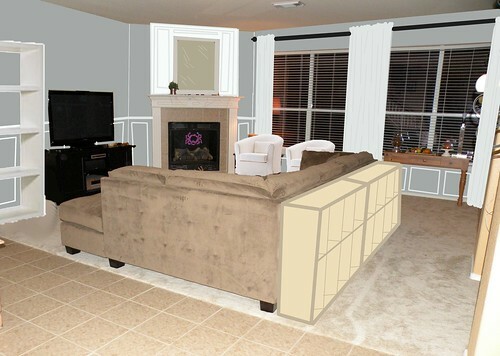 How do you feel about the new plans for the family room? 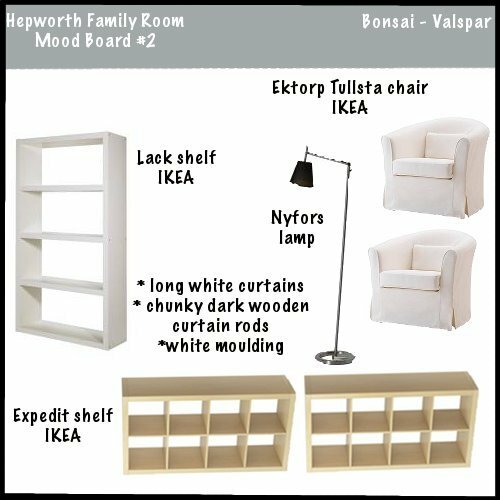 Do you like the white and light furniture in the 2nd mood board, or are you more drawn to darker furniture? If you could purchase one piece of furniture right and money wasn’t a factor, what would you buy? Why? Will you post a link to it so we can all see it? Love it! Where’d you get your couch? Looking for something similar. Allison, love your ideas, but I believe I would go with black or dark shelves next to the TV to help camouflage the TV, in which case you would need some black on the other side of the room as well. I have my TV in a light-colored pine cabinet, but the darkness inside the somewhat deep cabinet helps camouflage the black TV, and I can close the doors if I want to. I envy you because you have waaaay more energy than I do. I can think of a thousand ways to improve my house, but none of them get done! The new paint color really lightens up the room. It is going to look awesome! The Gimp rocks! Nice job on the photo editing – I’m very impressed. Our living room is going to look so good once it is finished! You will LOVE those Tullsta chairs. We have them in dark gray, and I think they’re the most comfortable reading chairs in the house. I like all of your other plans to add function and storage as well. You have some SERIOUS photo editor skills! That looks great….how amazing to be able really visualize before buying everything. It’s going to look great…can’t wait to see! 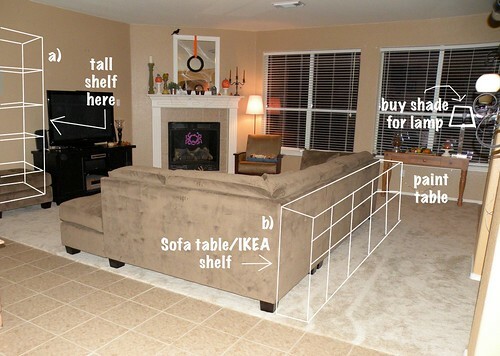 My two favorites are the Ikea shelves behind the couch (genius!) and the added molding (?) or whatever is on the mantel. Looks great! Can I agree with some of the others and say move the black entertainment center the TV is on to another room? Maybe you have a dresser or something already in your home that would make a TV stand. I saw a dresser or table in your dining room in another post, but I’m not too sure if it is big enough. Just a thought…. Oh, and the paint and moulding will make that room unbelievable gorgeous! Loving the paint color!! So stunning!! I love what you want to do to your living room! Very cool! And the wall color is perfect! Me…well I would like to move everything out of the living room and start all over again. Just clear it out!! And maybe visit Ethan Allen and see…..wishful thinking…I know! Your mock-up #2 looks great! I like the idea of adding in some pops of white: shelf, curtains and chair. 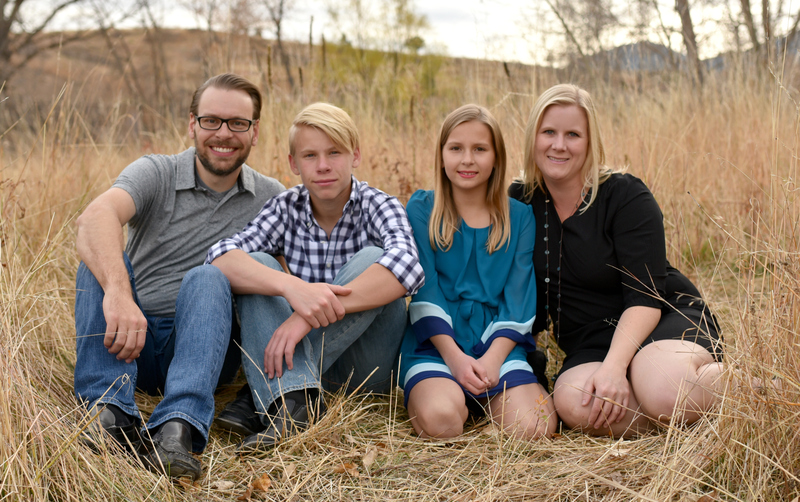 But, then again, my sons think my favorite color is white…bc I paint nearly everything white. Can’t wait to see how it all turns out.